We decided once Phoenix was born that we would re-do Emmi's room. With all the attention P is getting we want to make sure she is getting something special for herself. I want her to be the "client" and have a say in what her room will look like. 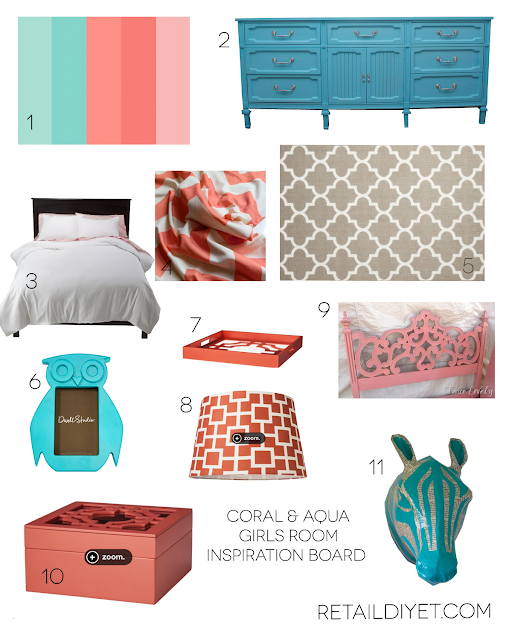 Since what she wants and what I want (I'm sure that is going to be a theme with the two of us until she is in her 20's) are almost opposite, I decided the below inspiration board would be a good compromise. She asked for purple, but as I've said before our ENTIRE house is wood. Dark wood. Purple will just be too dark. 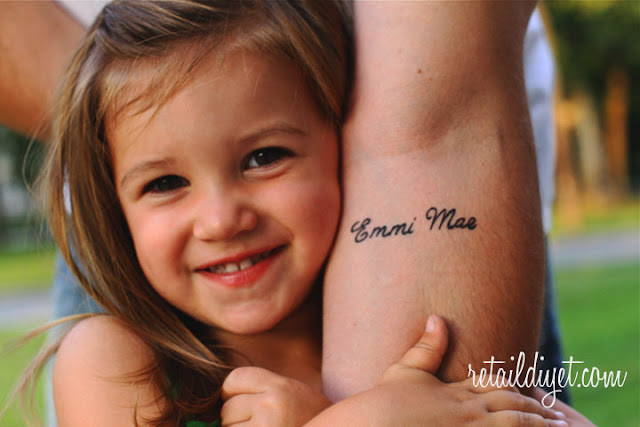 Here is what I came up with..with approval from Emmi of course. 1-Paint swatch from Pinterest with broken link. If this is yours let me know and I'll give credit where credit is due! I think this is a good start for Emmi's room. Sarah Richardson, who is one of my favorite designers, gives great advice on decorating children's rooms. She always designs rooms they can grow into. That's great for the budget too. 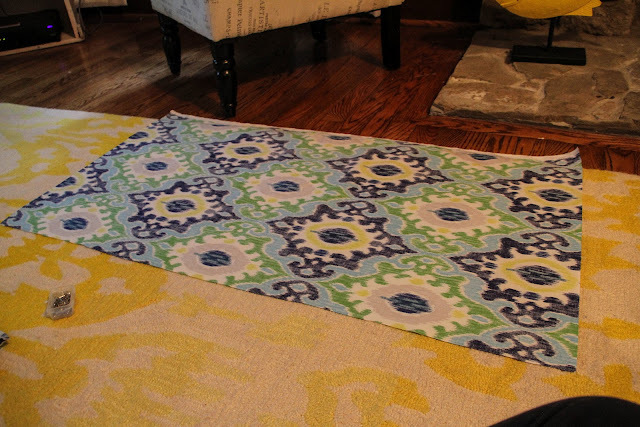 As they grow older you can switch a few key pieces at a time and save some money rather than redecorating the entire space every couple of years. This is one of the main reasons we did not buy Emmi a toddler bed. She is going from crib, to crib with one side off to full size bed. How do you plan out a room? Do you start with one inspirational or existing item and build from there? With both of our children we waited to find out the gender baby until she/he was born. I am so glad we went that route. 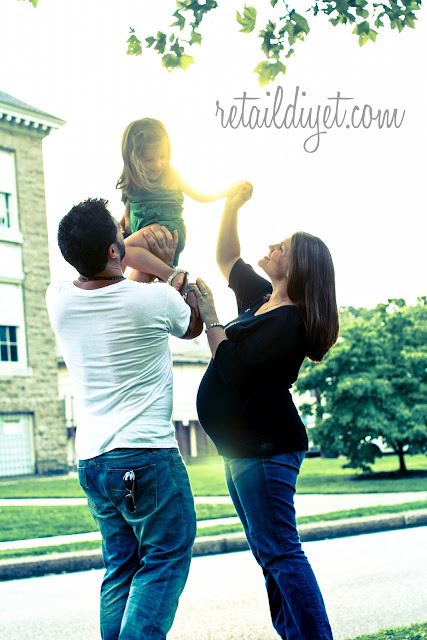 It was such a wonderful surprise both times and if we decide to venture into the unknown land of 3 children (eek!) I am sure we'd wait to find out again. Since we didn't know his gender we waited to complete his room. We picked up a few neutral pieces-crib, bedding, rug and the dresser but waited on the rest. I decided that no matter what we'd go with a neutral gray base with navy blue accents. If it was a girl we would add coral and if it was a boy we would add green. Since he was born I decided to nix the green and I think I want to go with gold...gray/navy/gold. 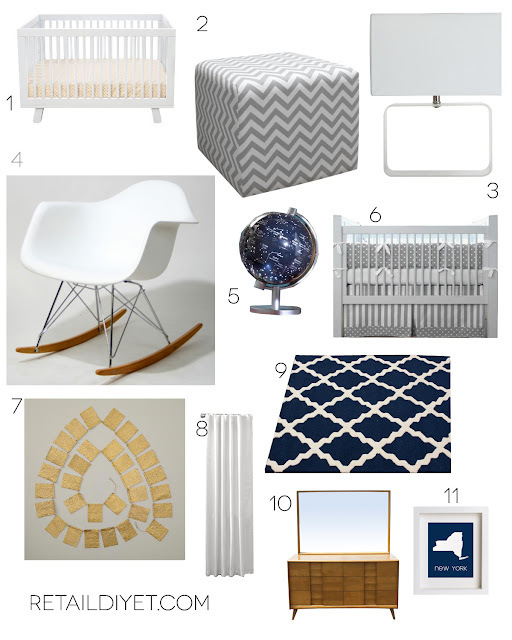 I put together this inspiration board to see if I liked where I was heading with this. Like I said we already purchased the crib, rug, bedding and dresser. My lovely and talented mom made me the bedding. It looks exactly like the one above. She is so talented and I'm extremely grateful! 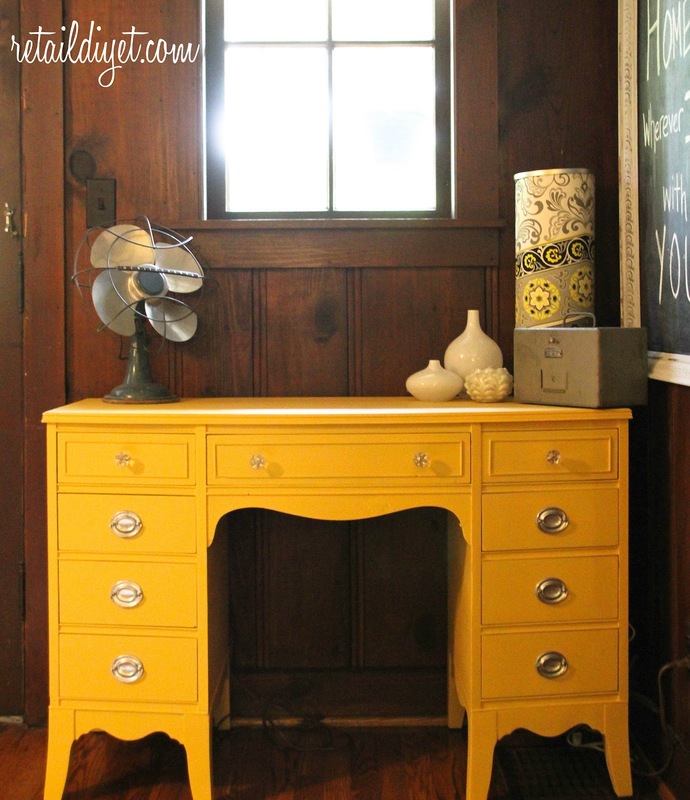 We picked up the mid century dresser at an antique shop and as soon as I saw it I wanted it. The price wasn't marked and when I looked inside and saw it was a Heywood Wakefield Dresser I thought it was going to be way out of our price range, but I asked anyway and guess what the price was...$100!!! I said yes so fast my head spun. This dresser is so solid and well made I knew we were getting a deal...I didn't know how big of a deal until we got in the car and I looked it up online. 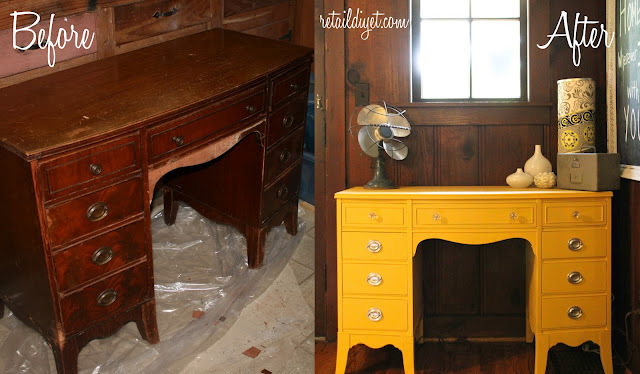 I saw the exact same dresser on ebay for $1995.00! I couldn't believe it. I paused for a second to allow myself to feel just a smidgen of guilt for basically stealing this piece and then I quickly moved on and celebrated! I've done some research on the piece since then and found out it is a Heywood Wakefield Trophy Mr and Mrs Dresser and Mirror and was likely made in 1951 or 1952. The Trophy line is very rare since it was in limited production. We're not going to use the mirror in PD's room, but we may find another place in the house for it. This is one of the reasons I LOVE shopping for vintage pieces to mix with new items. You never know what you will find you can't beat the quality of these older pieces. So, what do you think? Have you ever scored a great deal like we did? Ok, so I'm late to the Christmas party, sue me! As I mentioned here we welcomed the awesome PD so we're a little behind. We did just take down our xmas decorations yesterday so technically this post is still relevant...to me. We all wanted to enjoy the xmas feeling just a little longer so I'm not going to apologize. My parents came to visit for 2 weeks when PD was born. Most of the time we just sat around and stared in awe at our newest addition, but we were able to be productive. 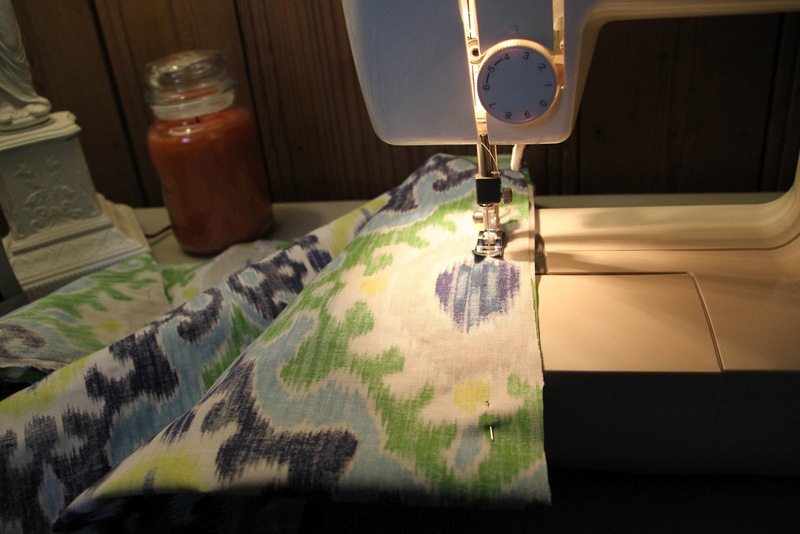 I've mentioned before that my parents are amazing quilters and I've been learning quilting and sewing in general from them. I am no where near their abilities, but I'm definitely improving. I haven't sewn through my finger in a while...true story..that did happen! eek. 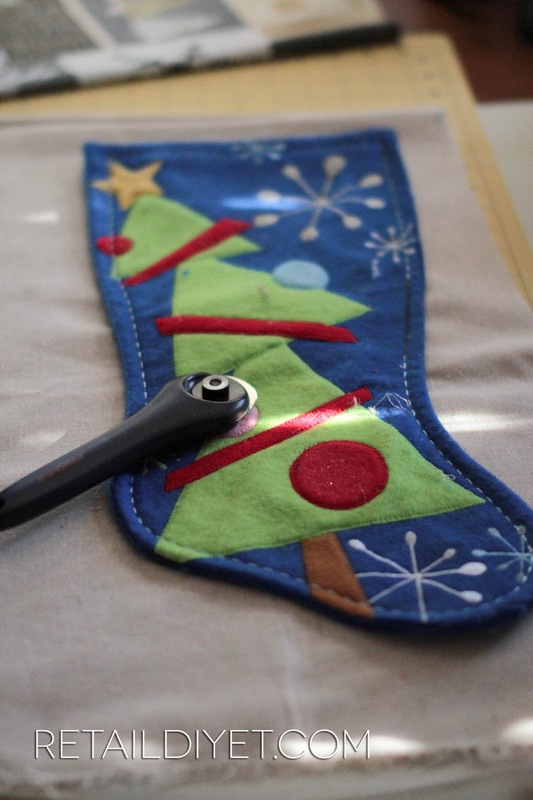 I solicited some guidance from them in order to make my tree skirt and stockings. I looked around on Pinterest for some instructions on making a tree skirt, but I found it too hard to follow directions so I do what I am best at--I winged it. I didn't measure or use a pattern for this tree skirt, so I really don't have any instructions to share, just the finished product. Here she is. I really wished I had trimmed that branch. I don't know what I was thinking, but I didn't. I made the skirt out of a cream colored burlap and cream lace. 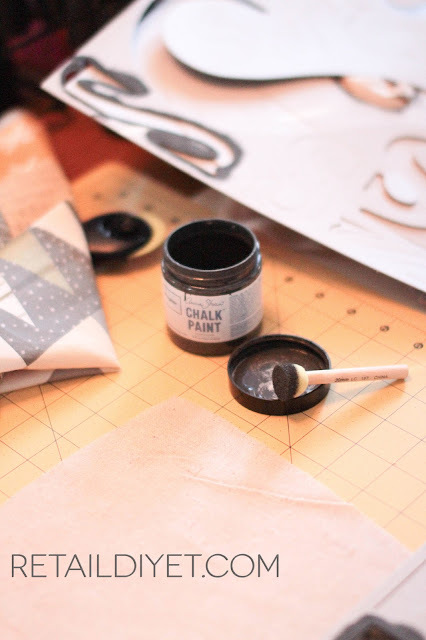 I stenciled on the C with some leftover graphite Annie Sloan Chalk Paint I had on hand. I made a few stockings to match the living room colors of gray/yellow/white/black. 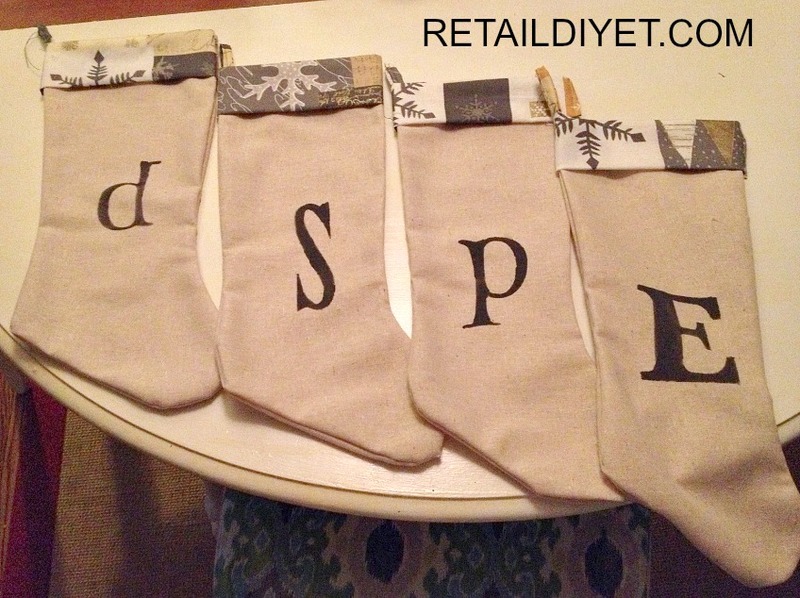 I used the same technique of tracing an old stocking (very technical) as I did in my Burlap Stockings post I did last year. I just love this fabric. It's holiday-ish without being overly themed. 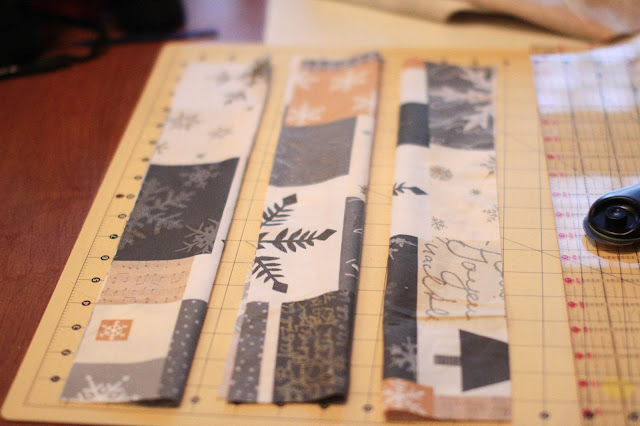 Once I cut the linen fabric using the dollar store stocking as a template I cut this fabric for the top cuff of the stocking. 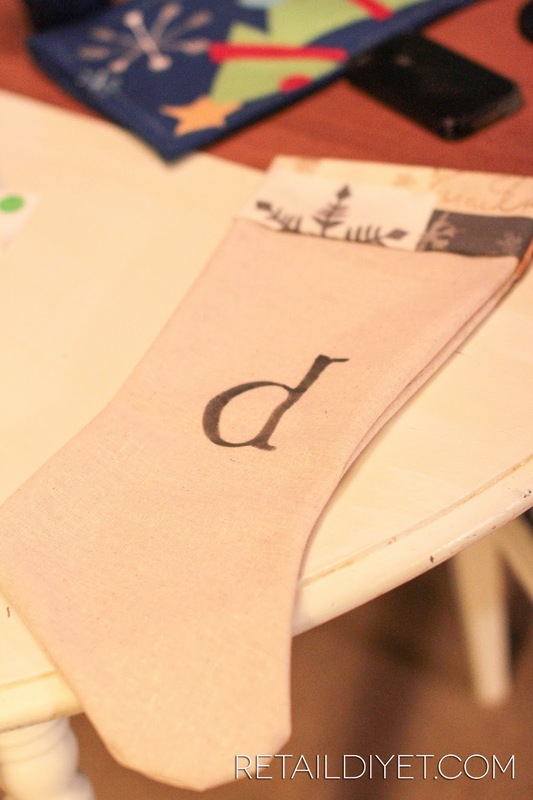 I then stenciled the letters for our family on the front again using the Annie Sloan's Chalk Paint in Graphite. Here is how they turned out. I love them. So there you go. 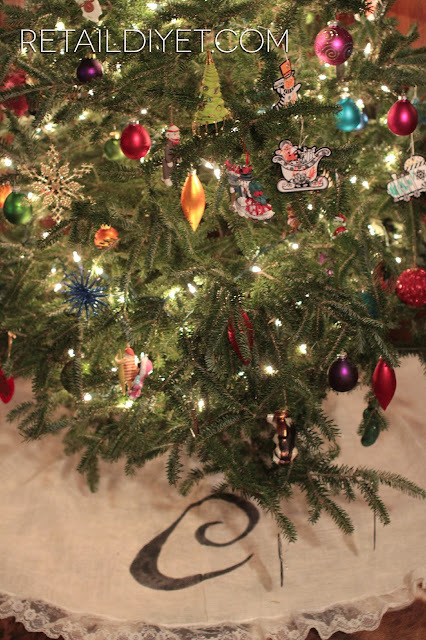 The holidays can officially be over in my book now that I got this post up...finally! I know you all (all 10 of you! ha) have been anxiously waiting with bated breath to see where the heck I've been for the last few months. Wait no longer, my friends...I'm back. I do have good reason for my little sabbatical...and here he is...introducing Mr. PD. He was born just a few weeks ago and he is super awesome. 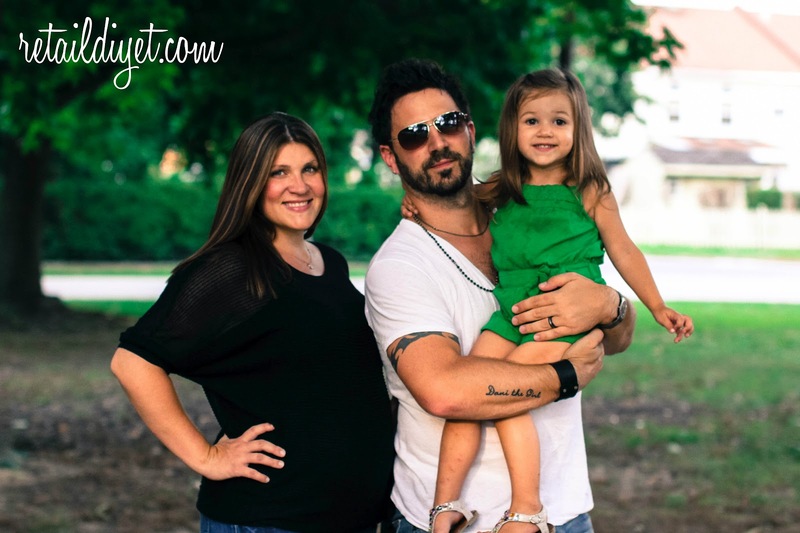 With 2 little peanuts I've been a little busy, but it has definitely given me time to think about this blog and where I want to go with it, and boy do I have plans. Here are just a few goals for my 2013. 1. 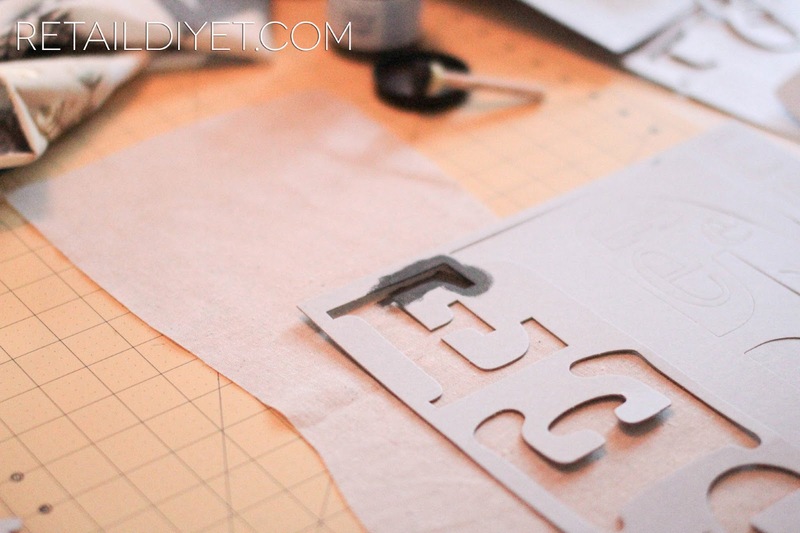 Blog revamp-I'm in the midst of working on a blog re-design. I know exactly what I want the Retail DIYet to look like in my head, but I am not web design savvy, so I am calling in a few favors and crossing my fingers that it will look exactly how I imagine. For me this site needs to be like my office/sanctuary. I always feel the most productive when I am in a room that is neat, organized and looks pretty. Well, thats the same way I feel about my blog design. I feel like I will be more inclined to put more into this if it looks the way I want it to..which leads me into #2..
2. Put it all out there-I love design. 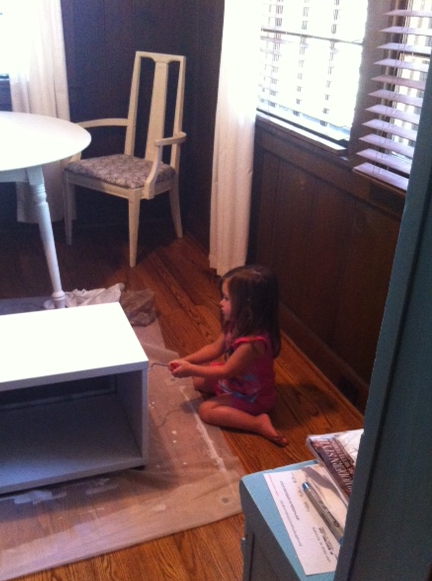 I love refinishing furniture, cooking, organizing, traveling, crafting..and the list goes on and on. I want this blog to be a scrap book of sorts where I can write about whatever I feel like. It IS my blog and I'll write what I want to (said to the tune of "Its my party and I'll cry if I want to!"). I want to stay true to the DIYet of course by doing things myself, but I think it will be more fun for me (and for you) if I don't constrict myself to just furniture. 3. Expand my readership-plain and simple. I don't need to be the biggest blogger in the world, but a few more people reading my stuff wouldn't be so bad, right? 4. Sell my furniture at a few local shops and take on more custom client work-This is already in the works and I'm super happy about this. 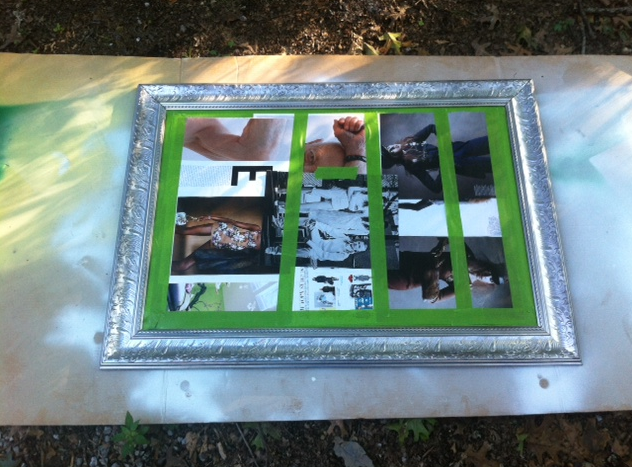 I really want to get out there and sell my pieces as well as take on more clients that want their pieces refinished. Seems easy enough, right? 5. Get published-I went to the amazing Haven conference this year and one of my favorite sessions was on press. I don't want press for me personally. I want to submit some ideas to magazines for articles. I think this is a realistic goal and my wheels are already turning at the possibilities. I think these are realistic goals and I'm excited to get started! I found this desk a while back for only $25.00! It's solid mahogany and I love it. I originally painted it in Provence by Annie Sloan. You can see that post HERE. Since then we have been working on our living room and Provence just does not match anymore so I opted to repaint this beauty with another Annie Sloan Chalk Paint color-Arles. 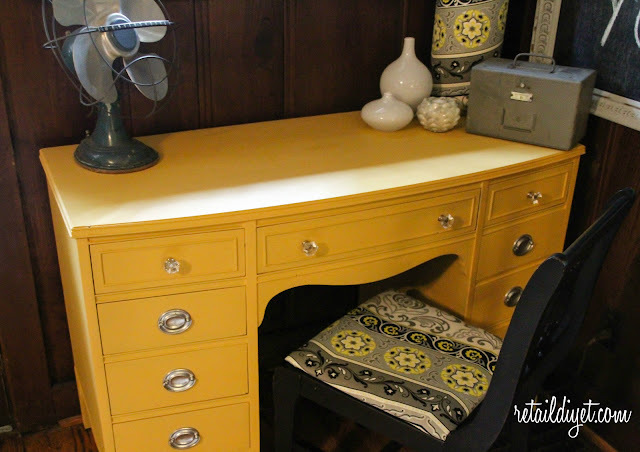 It's a nice mellow yellow and it goes great with our gray/yellow/white/black living room. I picked up this chair a while back for only $2.50. You can read that blog post HERE. I just recovered them in fabric to match and I am so happy with them. It had a burned spot and it was just getting icky, so I just removed the fabric and used spray adhesive to attach the new fabric. Super easy! So here is the before and after--all it cost was a jar of paint! What have you recycled in your house to work with your newest decor? We've needed to add some color and functionality to our foyer for some time now. When we decided to make a new stand for our TV out of a Vintage Remington Typewriter Crate (coming soon!) 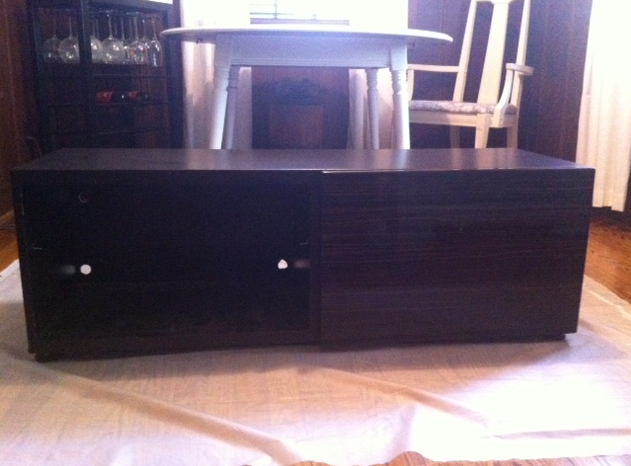 I knew exactly how I wanted to recycle the old entertainment center. 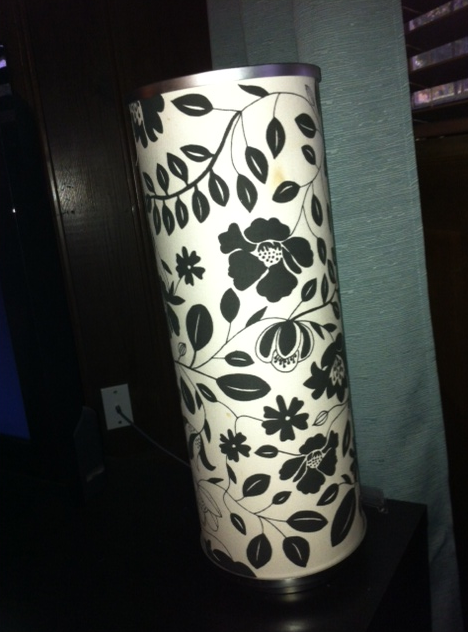 We bought this from IKEA about 5 years ago. I believe its the BESTA TV unit and we added a door to one side to hide all of our DVD's, etc. This piece has definitely given us our money's worth. It's been moved cross country and is still in tact. In these pics it looks dusty (my bad) but in tact! I just gave it a few coats of flat white interior paint from Glidden. EM helped as well! She sure is here Mama's girl! 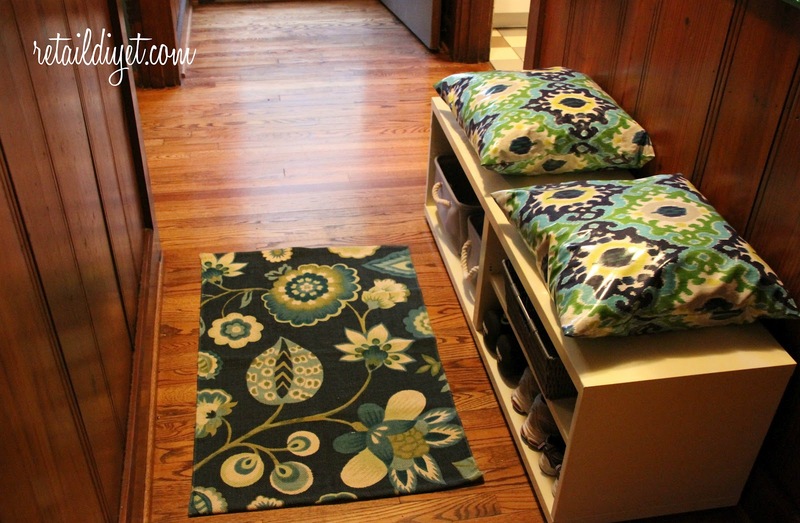 I figured we could use this as a bench/storage for putting on shoes and storing them away instead of them being strewn all over the foyer hallway. We had an existing mirror in the hallway that was so lonely and blah. 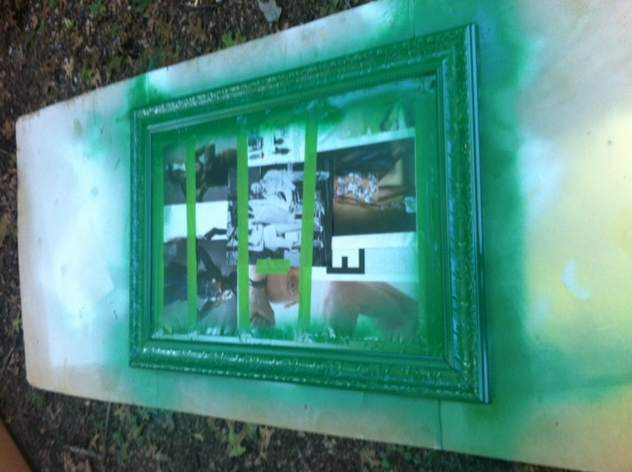 I decided to give her a few coats of spray paint in Rustoleum's Meadow Green. 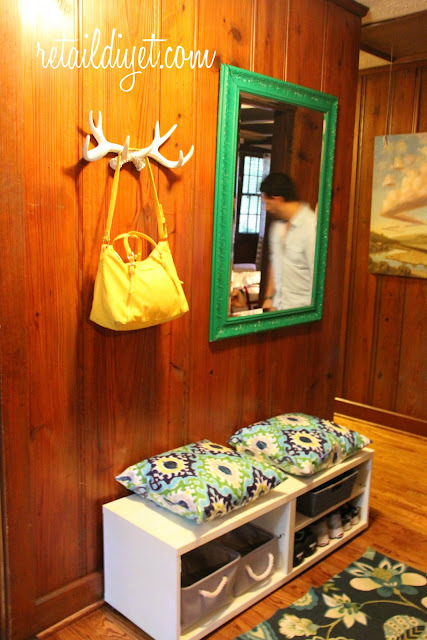 We also picked up an antler coat rack at Hobby Lobby for cheap--like $10 dollars. I can't find a picture of the before but it was ugly!! 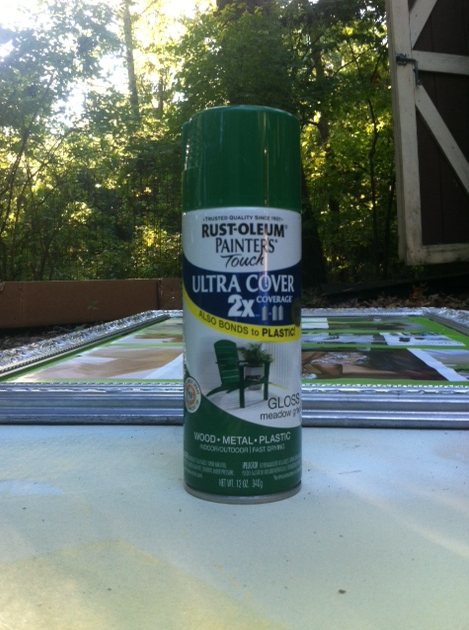 A few coats of Rustoleum spray paint in a White Semi Gloss and they are much better. Here is the finished product. 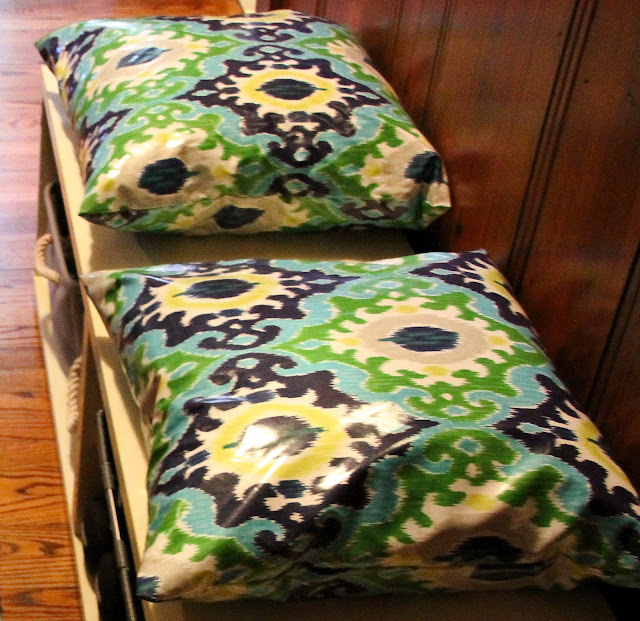 I added the pillows I made out of left over fabric and old pillow inserts, a few bins from TJ Maxx that cost me less than $20 for all 3 of them and a cute rug that is also from TJ Maxx that I scooped up for $7.99. My favorite pictures of our space have actual people walking into the frame and living in the space. Our foyer doesn't get much good natural light but you get the idea. Not bad for under $40! My lovely friend, Christy, who happens to blog over at Beyond the Fried invited me and 2 other lovely ladies to an Old Navy Cardi Party she was asked to host! I was super excited and couldn't wait to go. Here is a picture of us loving ourselves some Old Navy. 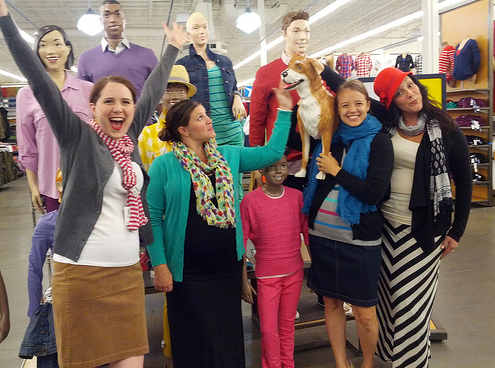 Christy, Me, Mandy & Rebekah excited to be at Old Navy! 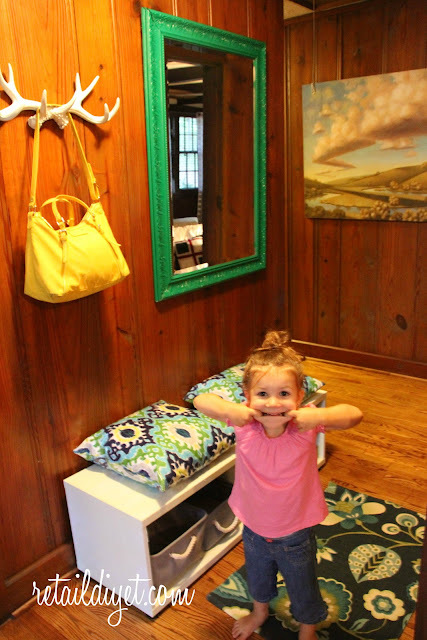 Hop on over and visit her at Beyond the Fried for the entire post! 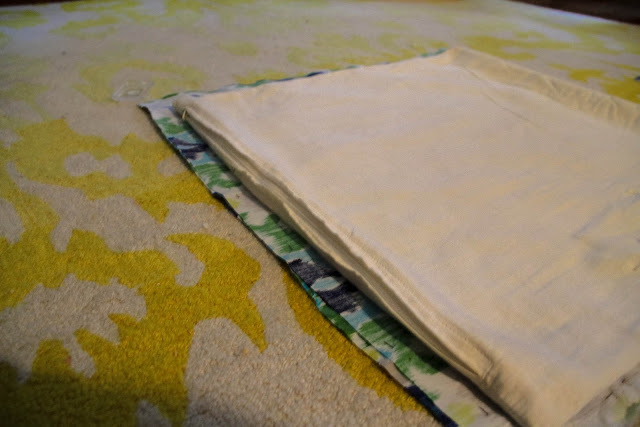 Later on this week I'll show you our Foyer reveal, but for now, here is a quick tutorial on how to make really quick pillow covers. 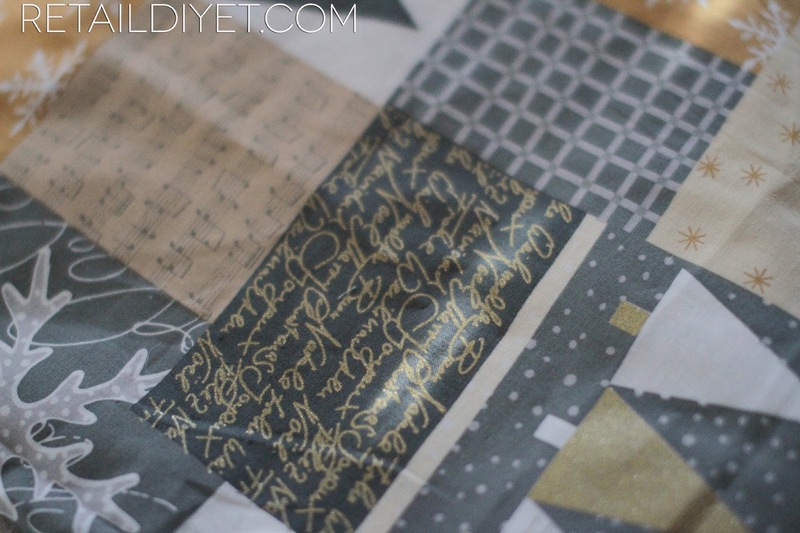 I had this fabric left over from my recovering my dining room chairs (which I still have yet to show you!) and I've had the pillow inserts since we purchased our first house almost 10 years ago. Steve kept asking me when I was going to throw them out and I kept saying I know I'll have a use for them and guess what? I do! So I spent no money on this since I already had the materials left over. I love when that happens. 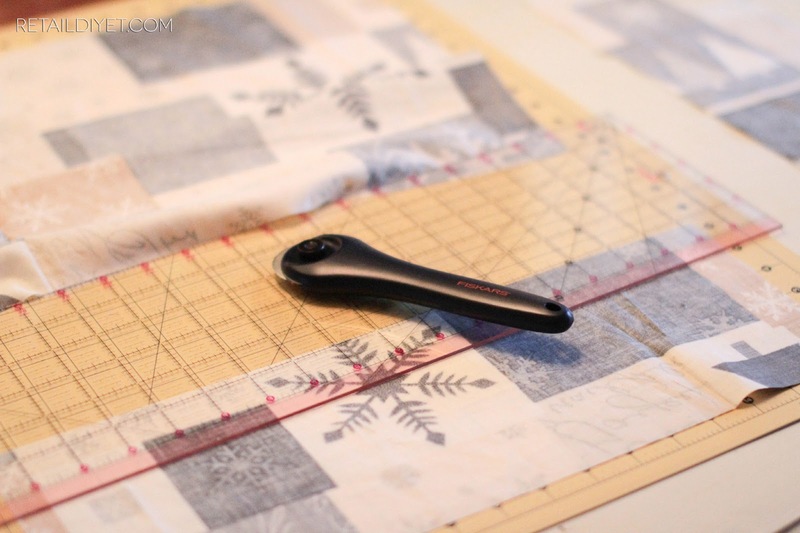 I am no seamstress so I just went into this like I do most things--winging it! 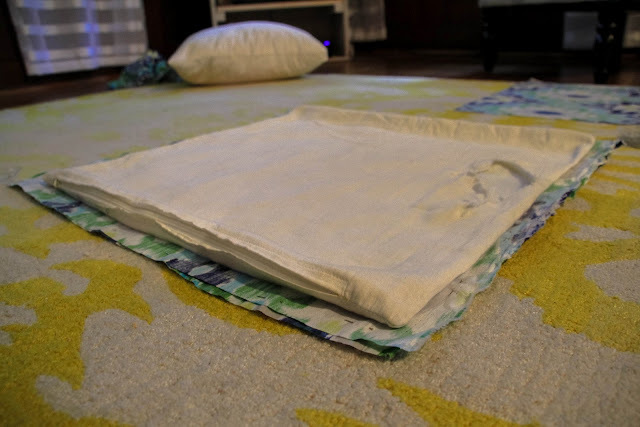 I used an old pillow cover as a template (notice the awesome hole? I guess that's why S wanted to know why I was saving these, but inside that torn cover is a down pillow insert!) and just cut out my fabric allowing about 1/2 an inch or so around the edges so I could sew them. 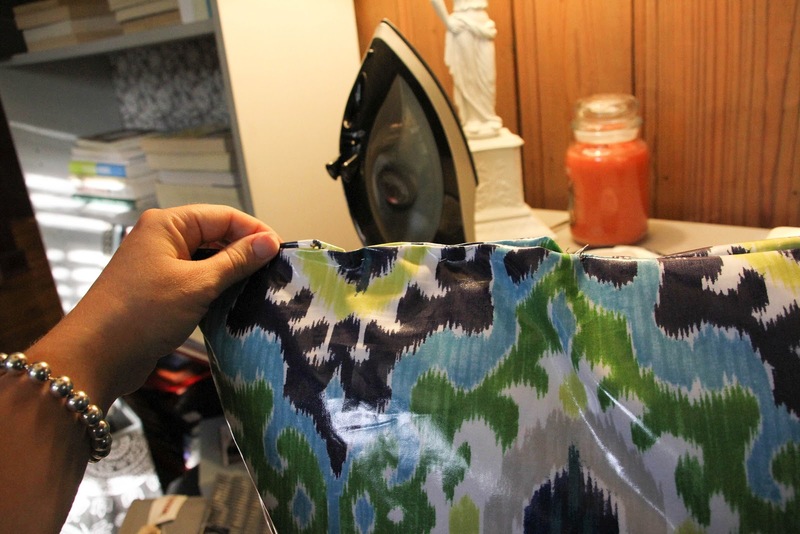 I then sewed it up on 2.5 sides--I used one long piece and folded it in half so I only had to sew 3 sides. Because I'm not cool like that, and I don't know how to put a zipper in, I first pinned the small opening that I left open to squeeze the pillow in and then hand sewed it together. This fabric itself is laminated so its super easy to wash off with a rag so I don't anticipate needing to take the insert out. 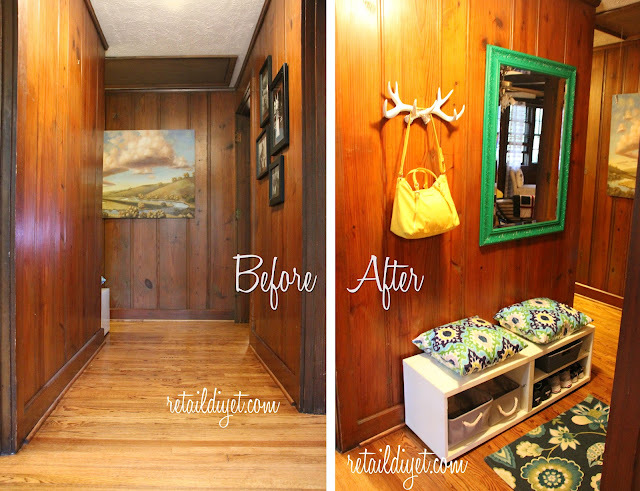 It's especially awesome in places like dining room chairs (stay tuned for that reveal soon..I promise) and in places like the foyer where no doubt dirty/muddy shoes will end up. Here they are all finished. I think they will make a great addition to our foyer. In this little room spruce up I took our old entertainment center and made a bench. I made these nifty pillows and we spray painted an old mirror and a cool coat rack. Stay tuned! 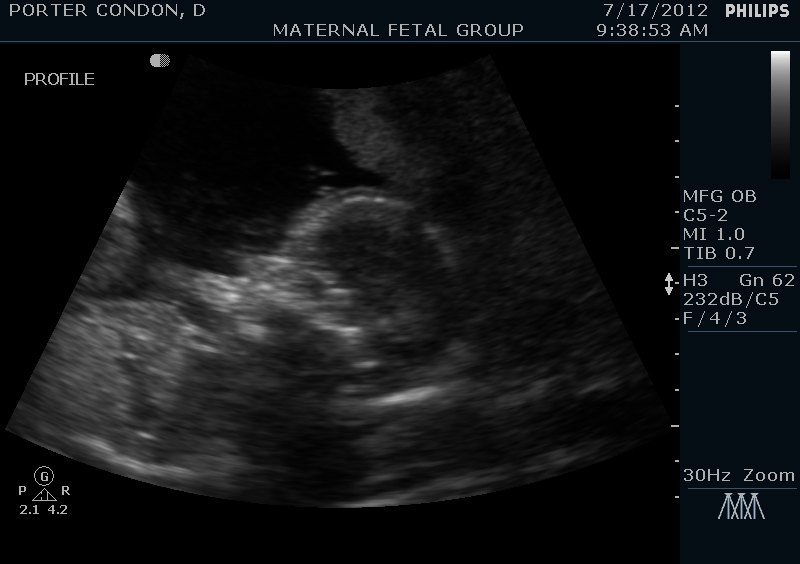 Our little peanut is scheduled to arrive on 12.01.12. We couldn't be more excited, although this time around has been a little different. 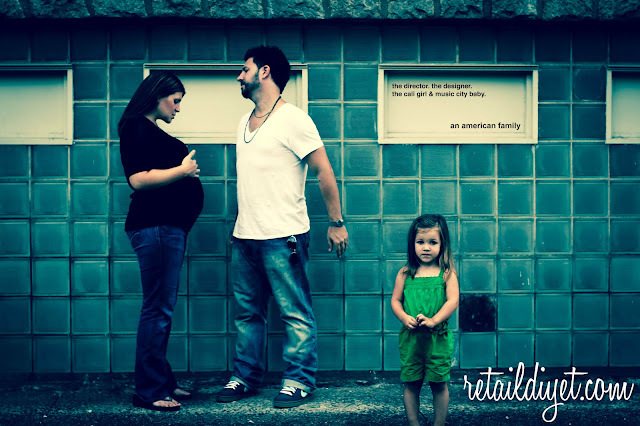 I think keeping up with an almost 3 year old and feeling the drain of pregnancy has gotten in the way of my DIY and blogging, but alas the third trimester is upon us and I'm feeling great! 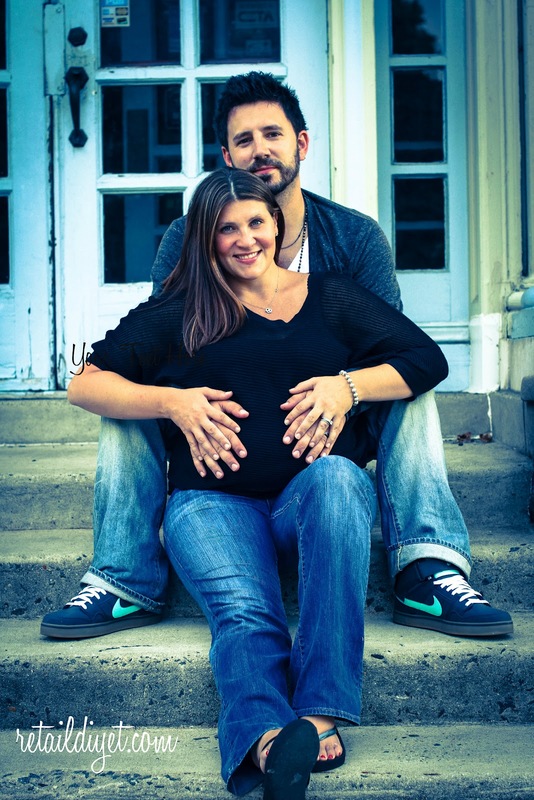 Here are a few pics that my awesome sister and partner in our photo business, Kelly, took for us. I can't believe this little love of mine is going to be 3 in just a few weeks! Time is going so fast! I will be back this week with lots of new content, pictures and tutorials! I love getting the email in my inbox that Lonny Magazine has gone live. 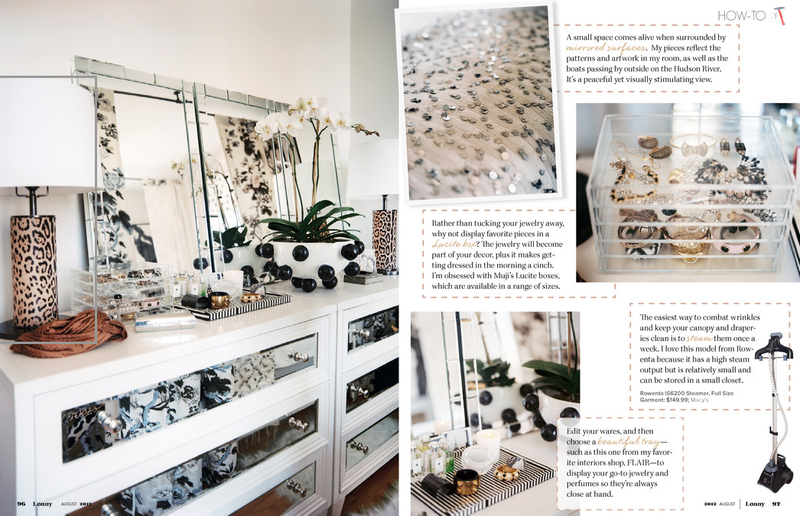 For those of you who don't know what Lonny is its an online interior design magazine. 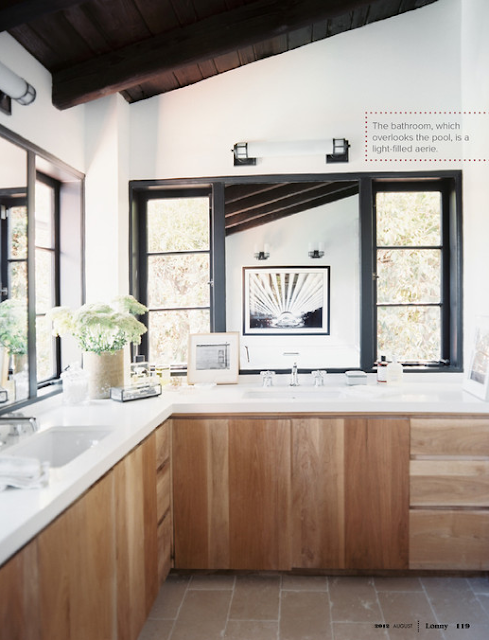 Lonny "highlights extraordinary interiors, innovative bloggers, and the latest market finds". I just adore it and have been reading it since its inception. Every glorious picture that graces your screen is a hyperlink for where you can see/purchase it. Awesome. How great are these Lucite boxes. 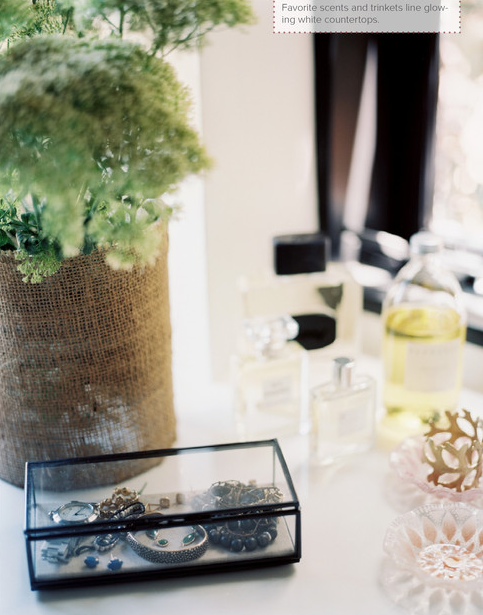 Displaying your jewelry instead of hiding it makes it more of a decor/art piece in your room. And at only $27.95 they are an affordable addition to your design. It's also a great excuse to get more amazing jewelry to display..hint, hint ;) I also love the mirror front dressers! In the same house designed by Estee Stanley you will find this amazing nursery. Clean, crisp and classic. Check out this half-round table..I love this! 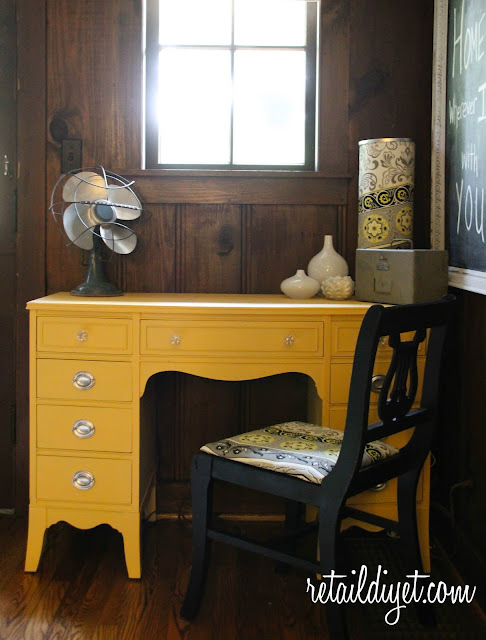 There is so many amazing pieces and home tours in their international themed issue. I have a slight obsession with magazines and online magazines like Lonny are great for me because I get in my fix of great design and pretty pictures without adding to the massive collection of magazines in my home.